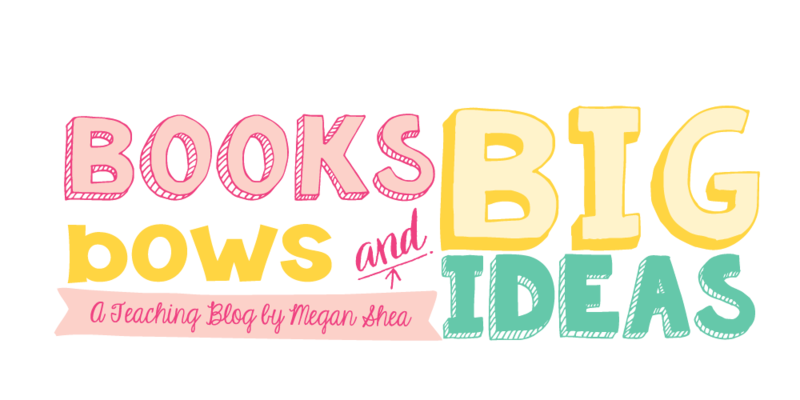 Books, Bows and Big Ideas: Pumpkin Day! I can't believe that it is already November, the year is flying! 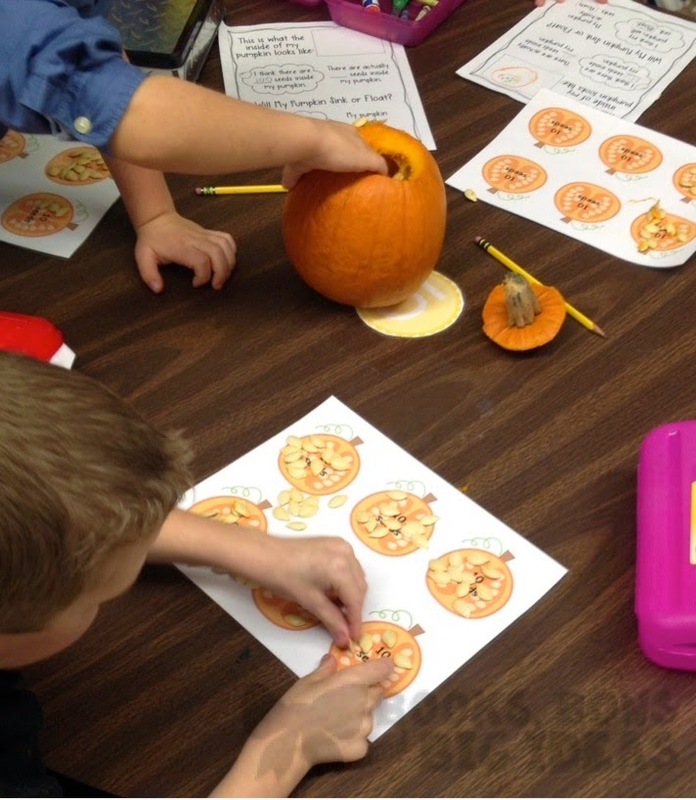 One day a few weeks ago was our pumpkin day. This is the first year we have done this and it was really great! The kids loved it and it was so different and fun. 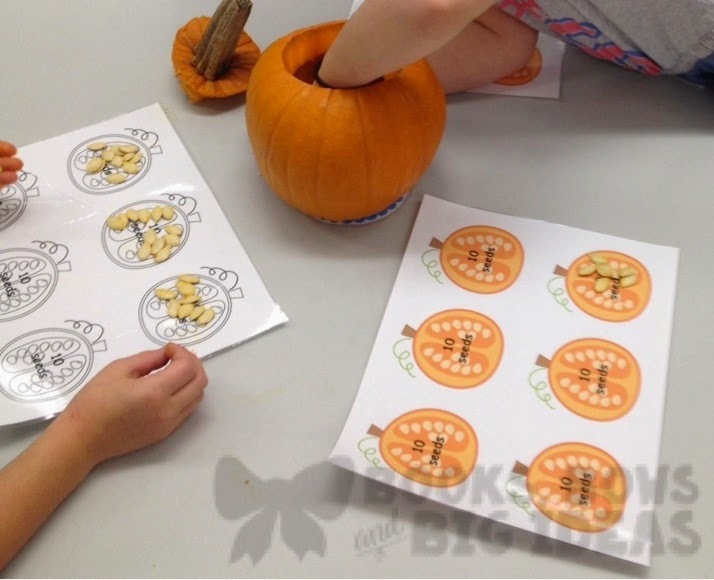 We got 5 small sugar pumpkins for this lesson, one for each table. It was really great because the kids got to really get involved and it was not like anything that we have done yet this year. 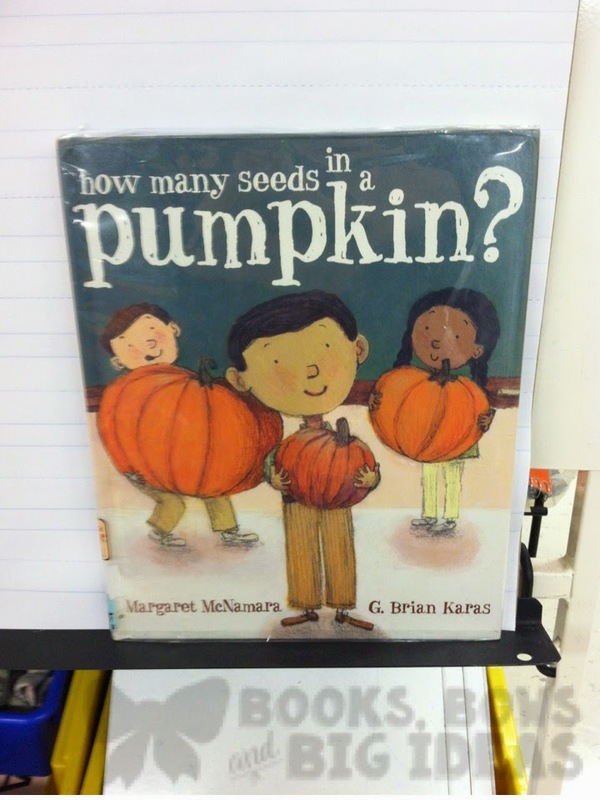 First, we read the book "How Many Seeds in a Pumpkin", it was a great introduction for our exploration of pumpkins and their seeds. 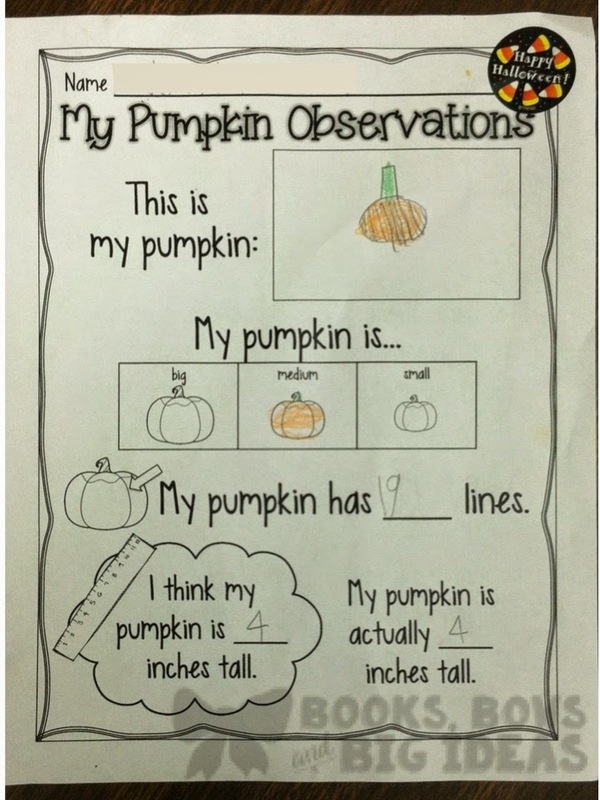 After reading, we explained a little bit about science and making observations. We showed them how to use rulers and told them about all of the different parts of the lesson. 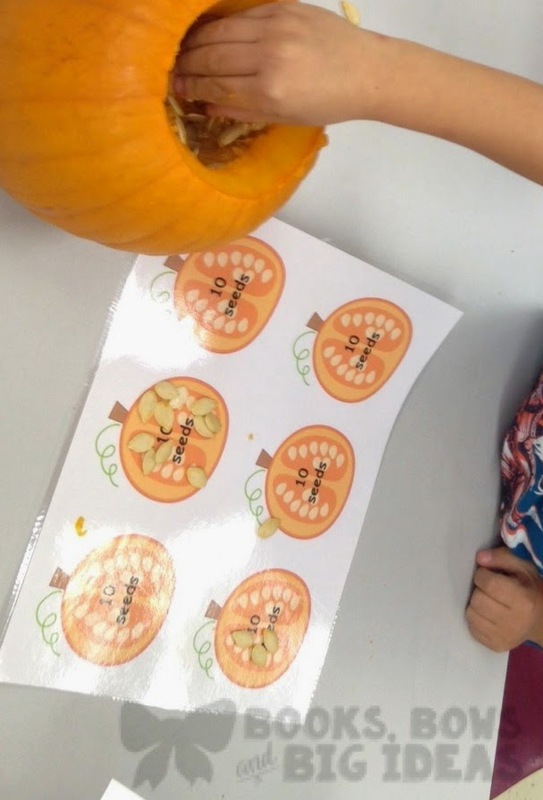 The first steps were to draw the pumpkin and count how many lines were on the pumpkins. Easy. The next parts were a little more difficult, using rulers was completely new, so this was something that we had to help each kid with. After that we did a sink and float experiment, the kids LOVED this part. 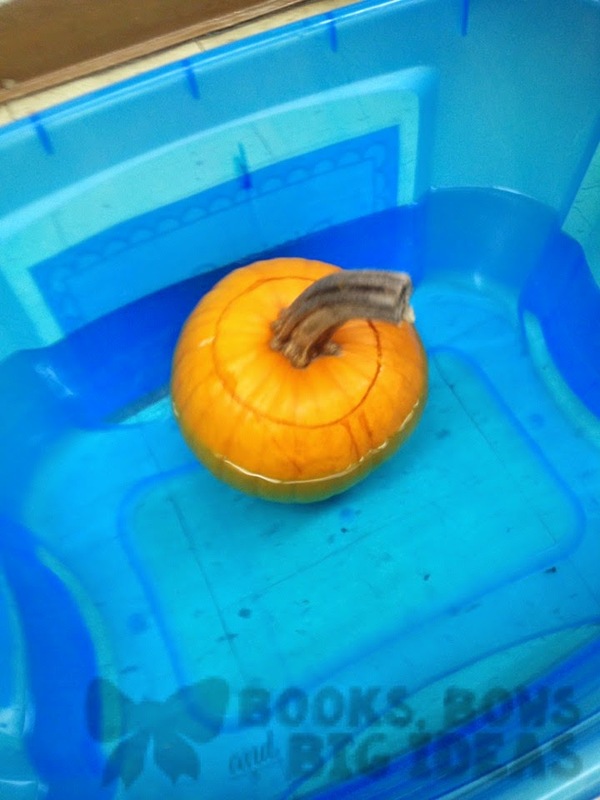 Pumpkins are really cool because they actually float, which is not expected. I had a large tub of water in the back of the room, behind an easel so that it is hidden from the rest of the class. I made a big deal that they had to whisper what happens so it remains a surprise for the rest of the groups. I would take one group at a time to the back and ask each child what their prediction was. 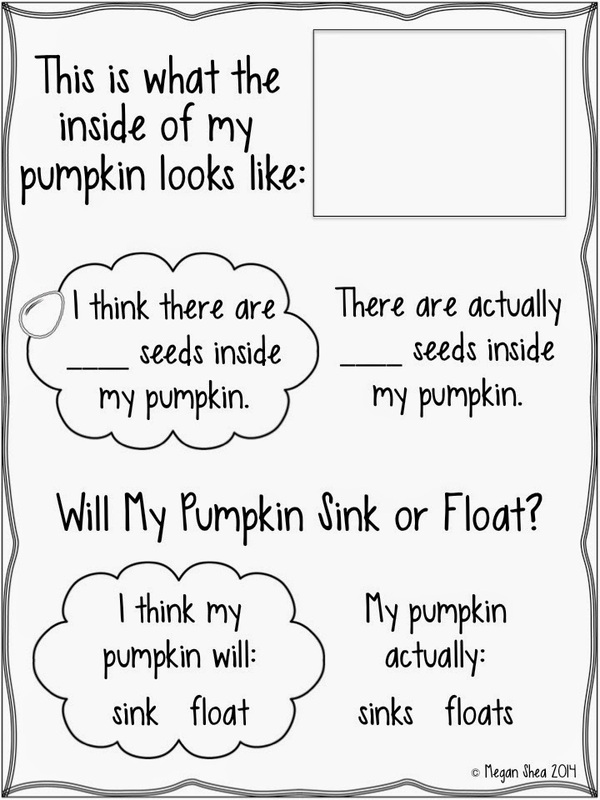 Then I would have each child place the pumpkin in the water, it floated every time! They were so excited! The last part was a lot of fun! 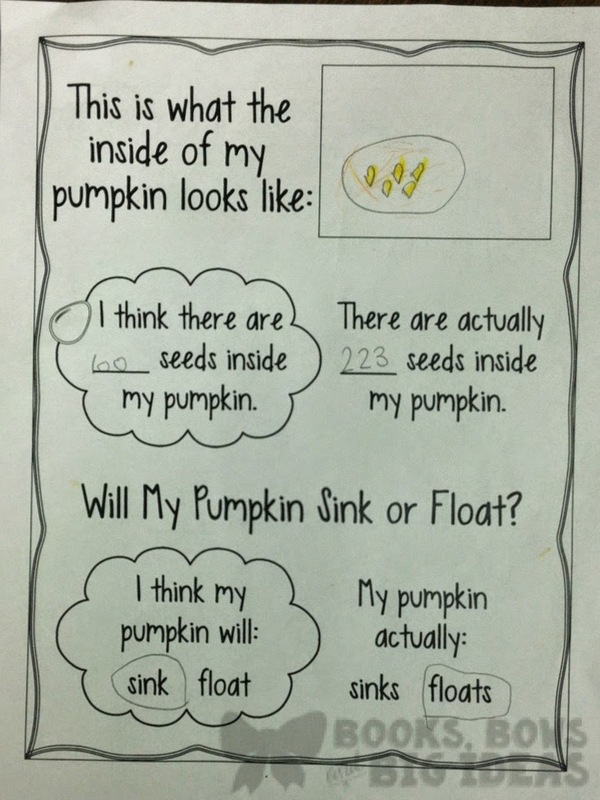 We had the kids estimate how many seeds were in their pumpkins (the book was an awesome introduction for this part). 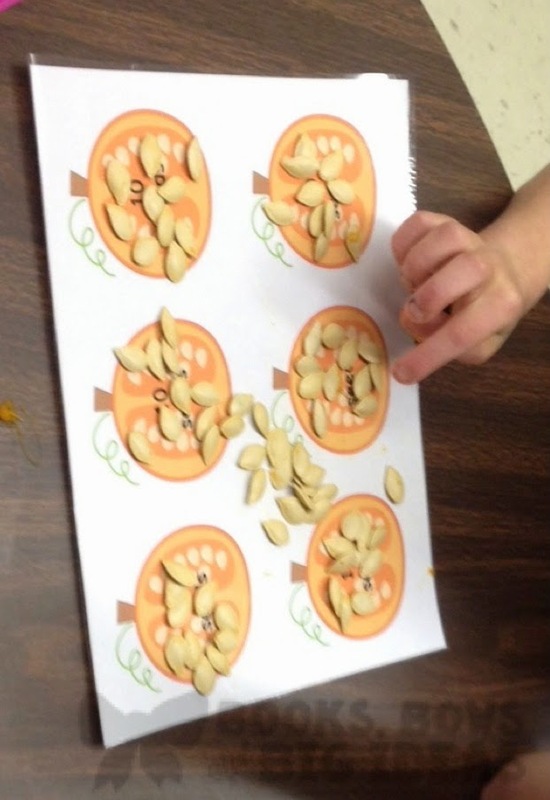 Then we cut each pumpkin open, they were able to pull all of the seeds out and count them. Some of the kids loved getting messy and pulling out all of the slimy stuff, and some kids wouldn't even touch it. 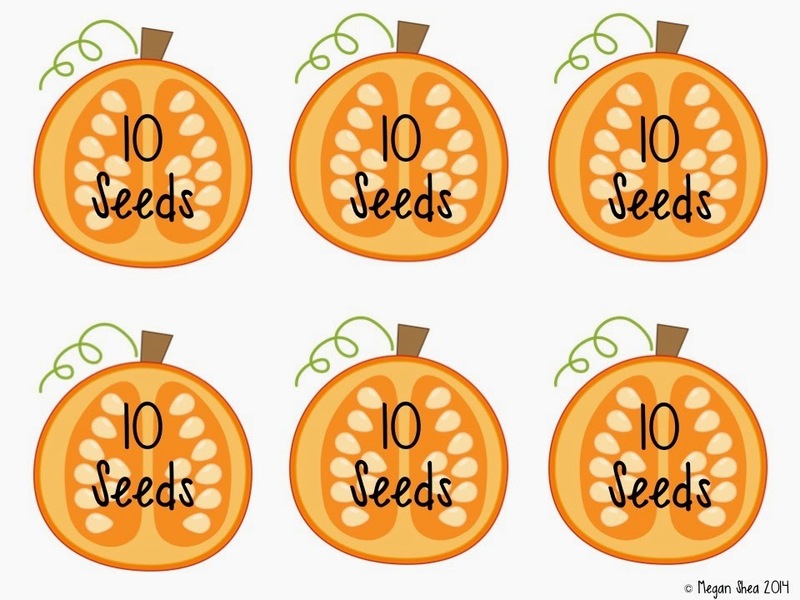 I was shocked by how many seeds were inside each pumpkin, one of them had 400 seeds! I made pumpkin mats on the computer and had them put ten seeds on each pumpkin, I had 3 mats for each table, thinking this would be enough, I was way off! 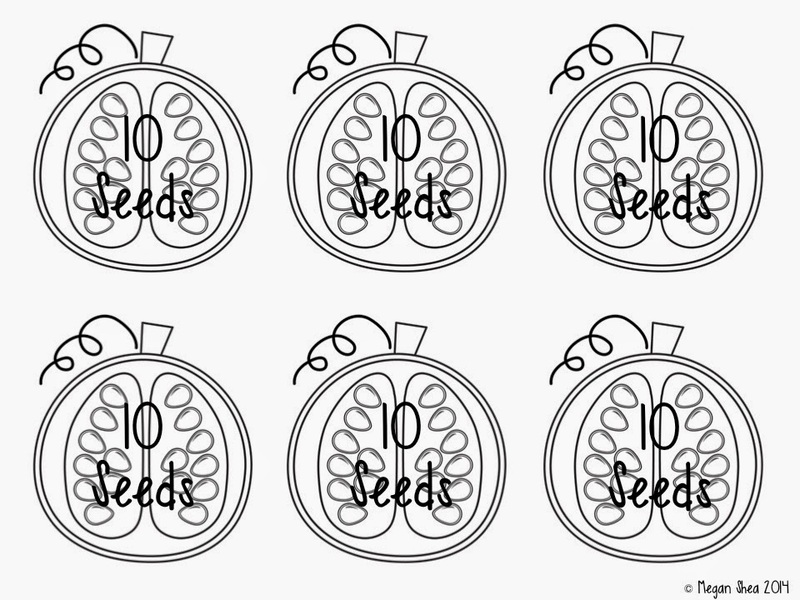 I ended up having to quickly make some construction paper ones for the rest of the seeds. I was so glad that I made these mats though, it made the counting process so much easier. 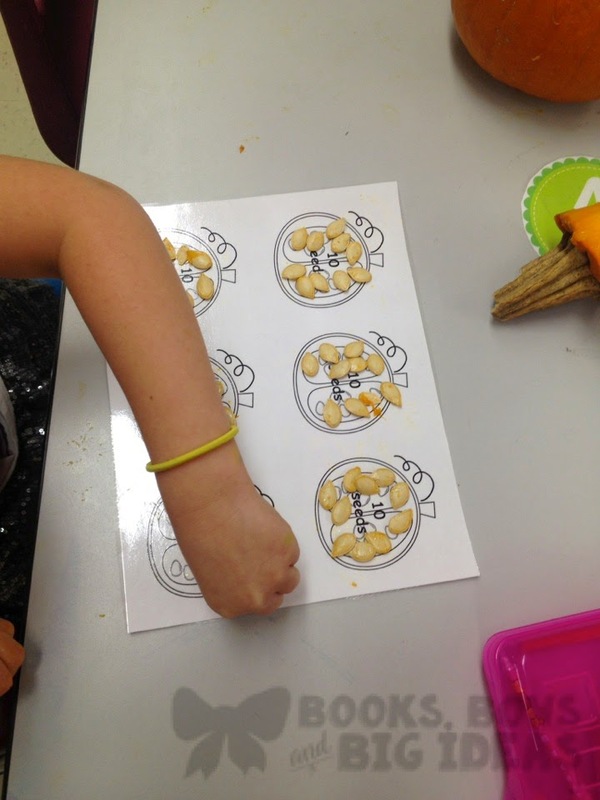 We are also working on counting by tens so it was great for that too. It ended up being a really great day, the kids loved it and even though it was a little bit stressful, it was so worth it. We will definitely be doing this again in the future. 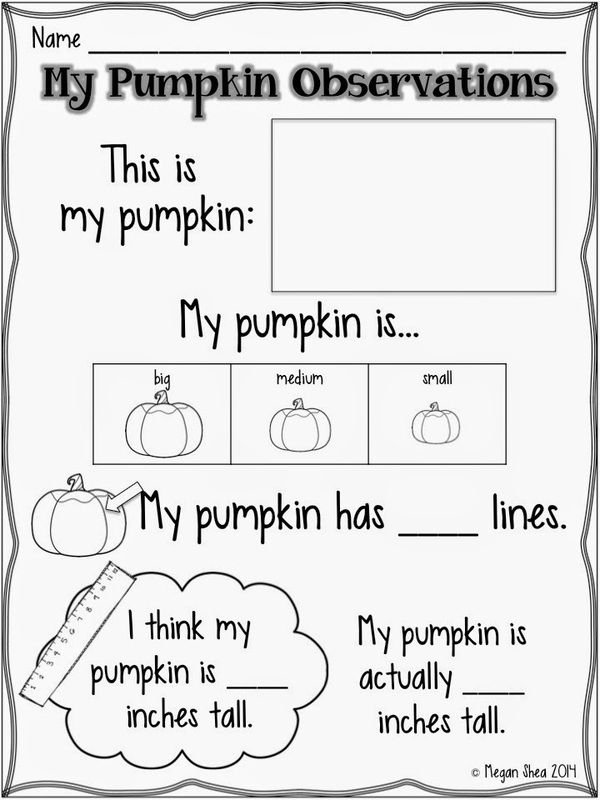 Click the pictures below to get a copy of the observation pages, and pumpkin seed counting mats for free.